Wilderness had no greater champion and protector than Bud Moore. Whether he was perched in a remote fire lookout as a young man in the Forest Service or sharing the wealth of his wisdom with our college field students in his later years, his life was always in and of the wilderness. Bud was a visionary; the father of modern wilderness fire management policy and sound ecosystem management- what he called "wholeness." He was a true Renaissance man, as comfortable hunting alone in the backcountry as he was documenting his life’s work in print. He published "The Lochsa Story: Land Ethics in the Bitterroot Mountains" at the age of 79 and his vast collection of journals, photographs, maps, and personal papers is housed in the Archives and Special Collections of the Mansfield Library at the University of Montana. Swan Valley Connections would not be what it is today without his enduring influence. But don't take our word for it - "Bud’s Place," a documentary of his life by filmmaker George Sibley, tells his story far better than we ever could - in his own words. 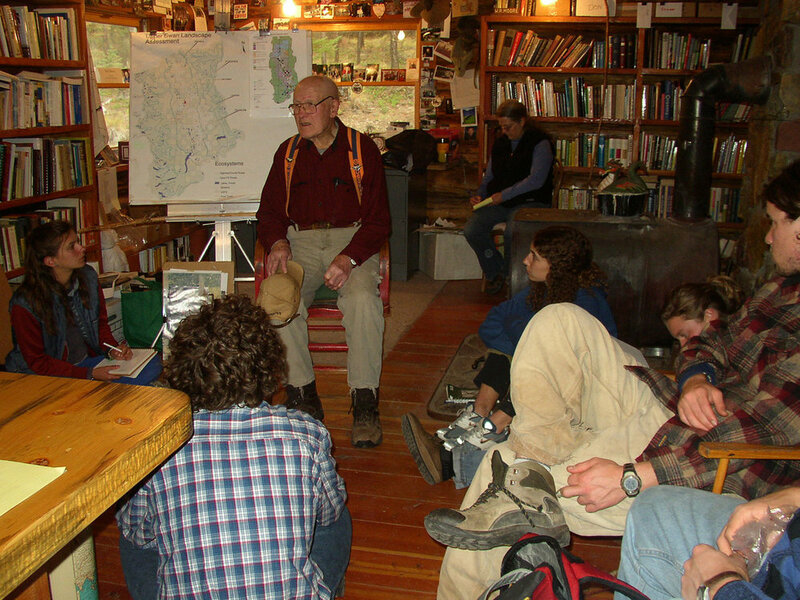 "The Lochsa Story: Land Ethics in the Bitterroot Mountains"
Join us in honoring the legendary Bud Moore and help us achieve another 20 years of conservation and education success by contributing to our $20,000 fundraising challenge! Visit SwanValleyConnections.org/20th-anniversary-celebration for details.